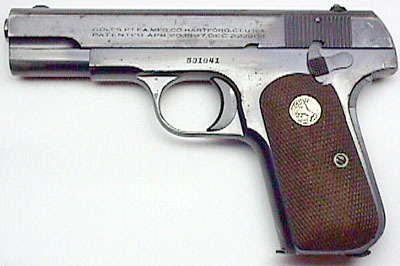 Model M .32 ACP sn 531041 - This was one of 1601 guns shipped to Kawaguchiya Firearms Company, Ltd., Tokyo, Japan on January 3, 1939. 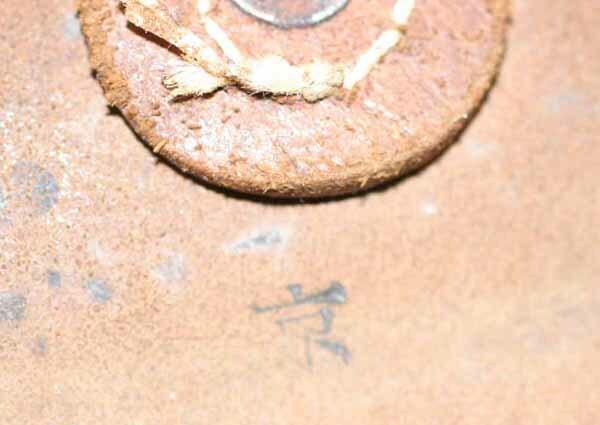 The factory letter also notes the Bank Associate as Yokahoma Specie Bank, Ltd. 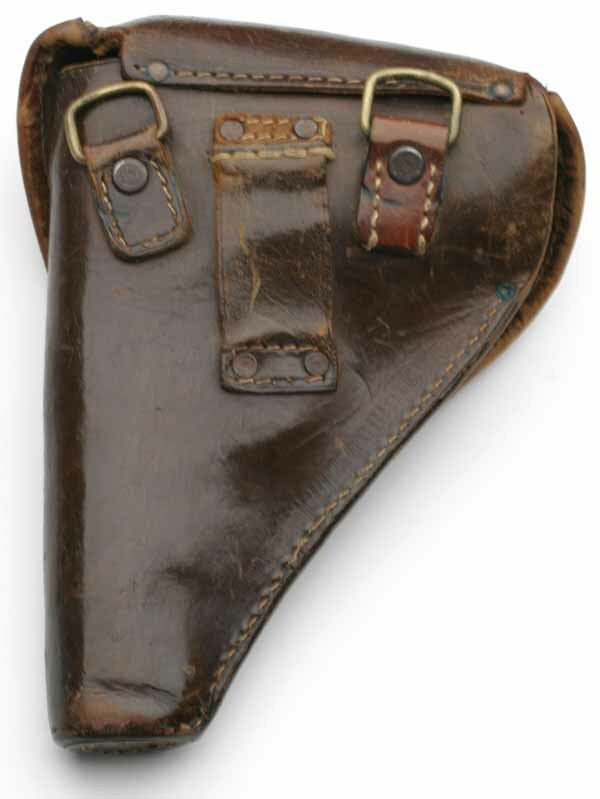 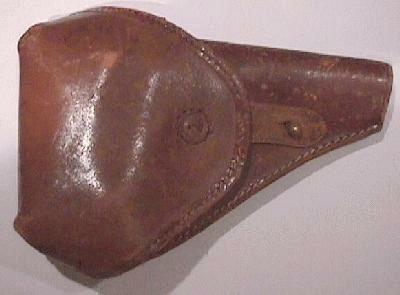 Original Japanese clamshell holster for the Colt Model M which accompanied the above gun. 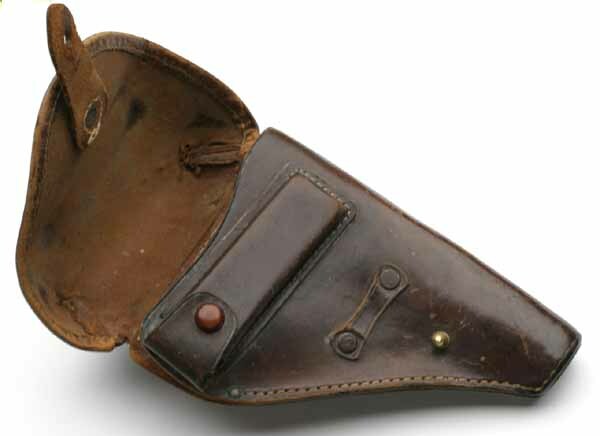 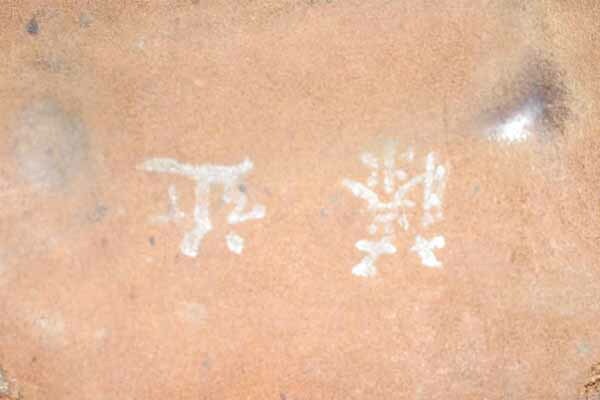 Japanese markings which appear inside the flap of the holster. 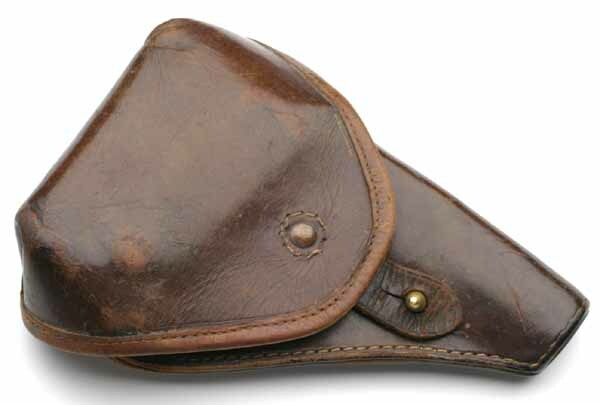 They translate as "Kawasaki, Tokyo"
".32 CALIBER over C O L T" marking which appears in English on the inside flap of the magazine pouch. 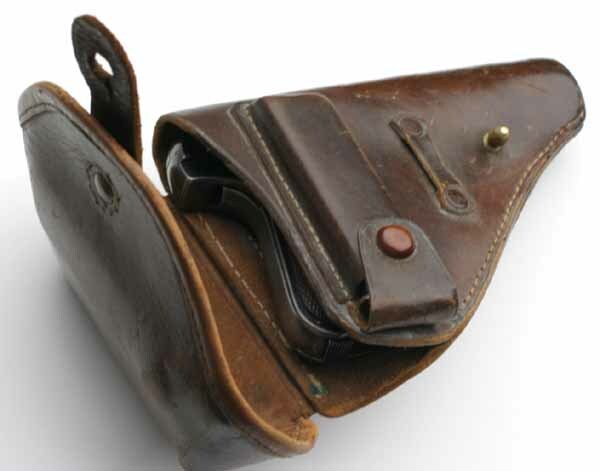 Original Japanese clamshell holster for the Colt Model M.
Holster comfortably holds a Model 1903 .32 ACP pistol and a spare magazine. 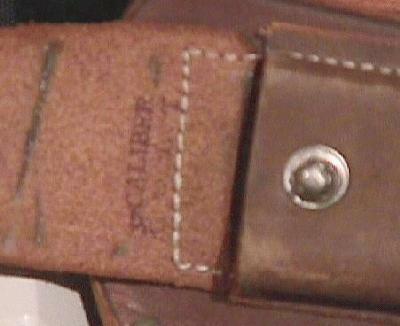 Japanese marking which appears inside the flap of the holster. 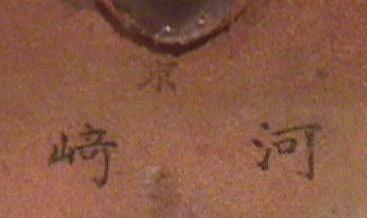 It translates as "kyo" presumably for Tokyo.